Summer isn’t a time that most people associate with seeds: the prime spring sowing time is long past, and new seed catalogs won’t be arriving for another two months or so. But for seed fanatics, the fun continues all season long. Early to midsummer is a great time for sowing another batch of annuals to provide fresh color in fall, and to start forget-me-nots (Myosotis), money plants (Lunaria annua), and other biennials. 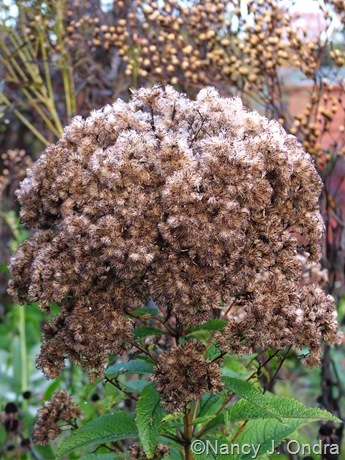 Any time during the summer can be a great time to sow the seeds of many perennials. Easy germinators such as black-eyed Susans (Rudbeckia) sprout quickly and make garden-ready plants by early fall. Summer is also the time to sow hellebores, cyclamen, and other perennials and woody plants whose seeds need a period of warmth before being winter-chilled and then sprouting. But summer isn’t just about seed sowing; it’s also time for seed collecting. Gardeners who enjoy participating in seed exchanges know that the deadlines for their seed contributions are usually some time in October or November. As with so many things, it’s easy to put off collecting until close to the deadline, and the vast majority of seed-exchange offerings reflect that timing: Most of the plants tend to be those that flower somewhat later in the season, so their seeds are ripe and ready to collect in mid-fall. 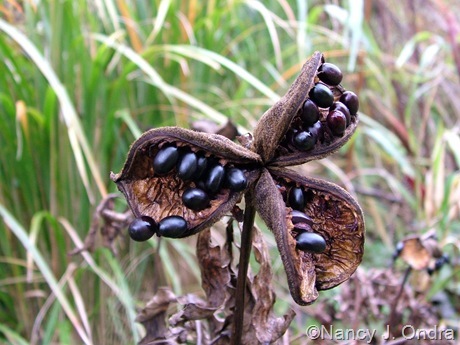 The more unusual offerings are of plants that flower in spring to early summer, which tend to ripen and drop their seed by mid- to late summer – a time when most of us aren’t thinking about seed collecting. So why not start now and see what you can find seed-wise in your garden to share with your friends or favorite seed exchange? Still not sure you want to bother with seed collecting? 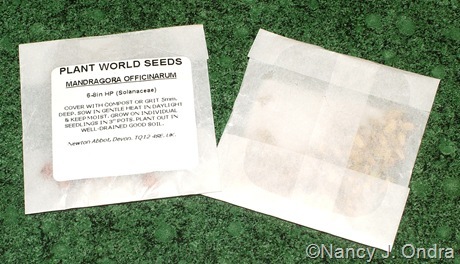 Consider this: Most seed exchanges allow any members of their associated organizations – such as the Hardy Plant Society/Mid-Atlantic Group or the North American Rock Garden Society – to order seeds, but those members who have actually donated seeds often get to order extra packets and/or get their orders filled first. Talk about an incentive to get out there and start collecting! Once you start gathering seeds, it’s easy to get get carried away and end up with seed-filled paper plates, old envelopes, cups, and foil pans all over the house. That’s fine when you’re busy collecting, letting the seeds dry, and cleaning away the chaff and other debris, but eventually you’re going to want to package up the clean seeds for easy shipping or storage. One option is to spring for a box of small paper envelopes. 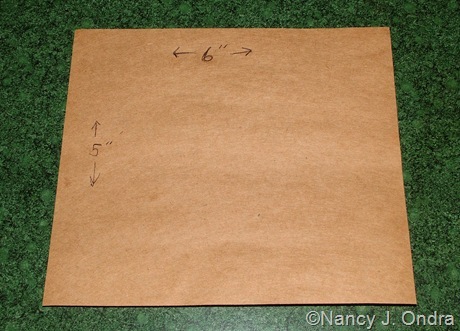 The kind I like are the 2.5″ x 4.25″ Brown Kraft Coin Envelopes from Staples; a box of 500 costs about $16, and it’ll last most gardeners quite a while. 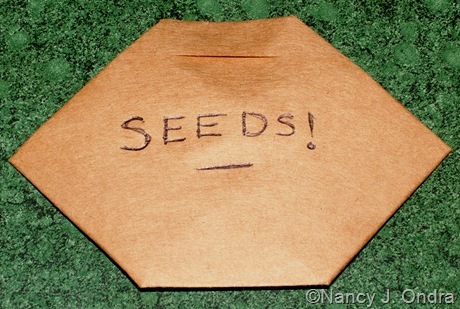 Small seeds have a way of finding their way out of the corners, though, so you need to tape them closed for extra security, and once you’ve opened the sealed envelopes, it’s not easy to reclose them neatly. 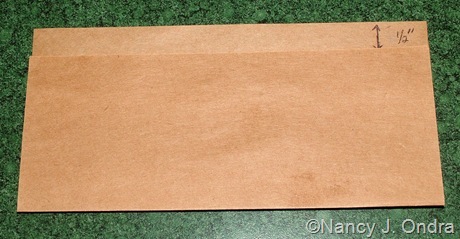 Another popular but usually more pricey option is glassine envelopes, which come in a variety of sizes and styles. They’re getting easier to find than they used to be; do a Google search for “glassine envelopes” and you’ll find a bunch of sources. If you need just a small quantity, one good source is Gardens North. 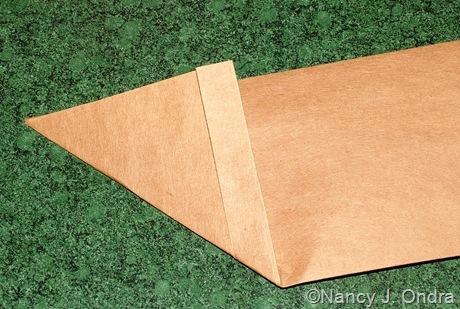 My favorite kind of seed envelope, though, is one you can make yourself from just about any kind of scrap paper. Yes, it’s a bit time-consuming, but it’s fun, too. Here’s how I make mine: Start with a rectangular piece of paper, ideally of stock that’s a little stiff, such as copy paper. 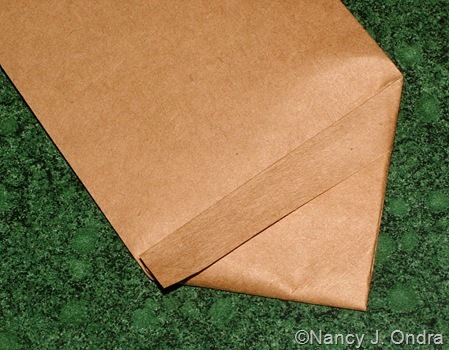 (Thinner paper can be fine for very small envelopes but is too floppy for large ones.) For this example, the piece I started with was 6 inches by 5 inches, but it doesn’t have to be exactly those dimensions to work. 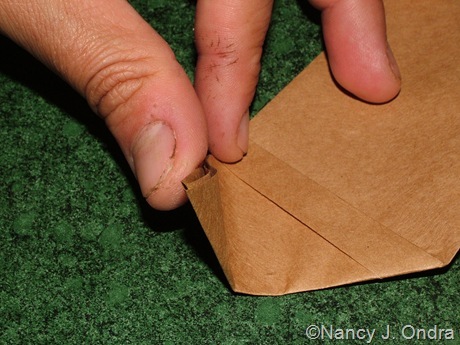 Fold the paper lengthwise, but don’t bring the edges exactly together; you want one to be roughly 1/2 inch below the other. Then fold the top down. 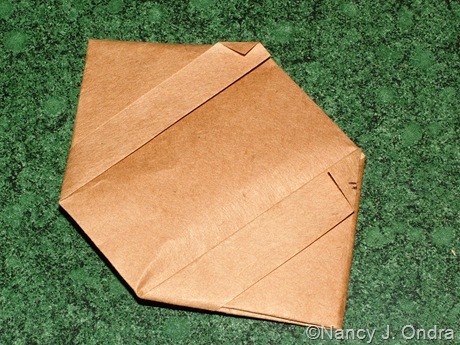 Fold one end toward the back to create a triangle. …then tuck it under the flap. Run a coin or fingernail over all of the edges to sharpen the creases. If I’m making a bunch of envelopes, I usually stop each one at this point. 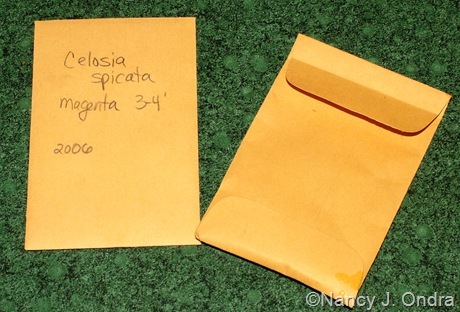 When I’m ready to fill one, I write the name and year on the envelope first, then pour in the seeds. Then I fold and close the other end in the same manner. I hope that all makes sense. If not, there’s another form of instructions here: Glueless and Tapeless Seed Envelope. Hi Nan, thanks so much for easy to understand directions, until that second triangle that is. I need to be doing it while reading along, or print this out. I always have a lot of seeds drying in the shed in paper shopping bags and cardboard box bottoms. There are always too many to use so I try and give them away. 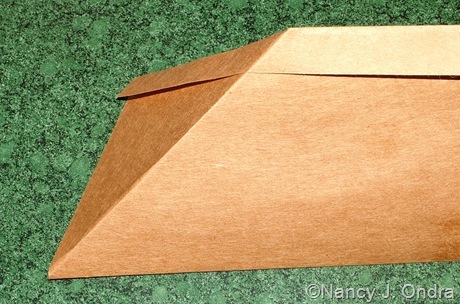 I like your little handmade envelopes best and will give it a try. As you say, Frances, I think you’ll find it easier if you’re actually doing it. If I haven’t done them for a few months, it takes me a bit to relearn the steps, but the process is fairly quick once you get the hang of it. If it still doesn’t make sense, let me know and I’ll mail you one to see for yourself. That’s pretty creative! I’ll have to look back here when I have a few more seeds to save. For now I just have coreopsis, which has produced seeds by the thousands it seems. I can’t keep them deadheaded! Ah, yeah, with that many seeds, these tiny envelopes aren’t very practical. Sounds like you’re have a great flower summer, though! Thank you, Bill. I look forward to visiting your site. More info on seeds is always welcome! I wish you had published this post earlier, I could have used it when I needed to mail seeds early this summer. I ended up reusing an old packet from seeds I had ordered years ago. Well, practice now and you’ll be ready for the next time! 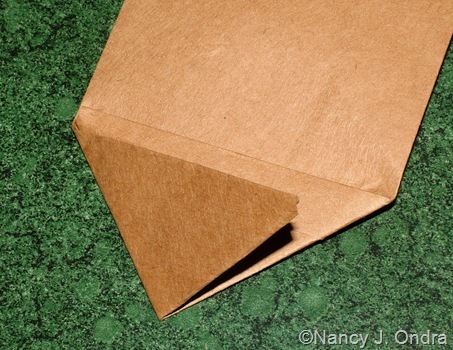 As I mentioned in response to Dave’s comment, these folded envelopes aren’t practical for large quantities of seed (or for more than a few very large seeds). They are nice for sharing small quantities, though. This is priceless, Nan! I love the elegantly geometrical shape of the finished packet. I like the look of them too, so I usually have one or two empty ones somewhere on my desk just to admire. But I like them even better when they have neat seeds in them! 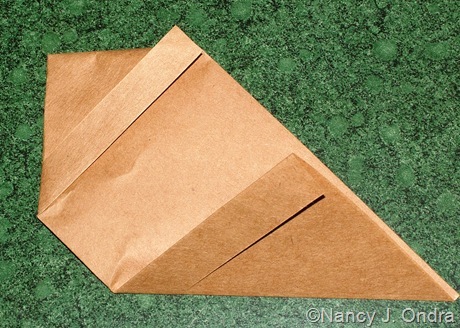 This seems to be a great way of creating your own envelopes. It will come in handy – my seeds are starting to ripen. Thank you for this very instructive description! Thanks for visiting, Katarina! I’m glad you found the envelopes of interest. That’s very cool! I like to reuse things for seed packets, including those subscription cards located within various gardening magazines and even sometimes the gardening stories themselves. But I’ve always ended up having to tape mine together–I never thought about making folds that would keep things inside! I’m totally doing that, although I realize with the thinner stock that magazine pages are printed on, I may have to double up sheets so they don’t tear. Okay Nan, I have made one, and it is very logical and easier than I had thought. I will be making lots of these just because they are so cool and also because there are lots of seeds to give away. Thanks so much. Great – thanks for letting me know that the instructions are okay, Frances! I’ve been collecting a few and love the envelope tip! Now, *I’d* better get busy collecting too. There are seeds aplenty just waiting to be plucked. I found this seed envelope while looking for a simple solution for research needs – how to store toenail clips* in rural Mozambique. 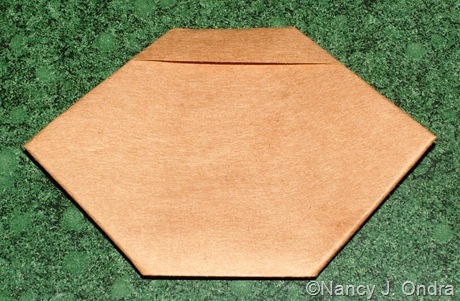 This simple but compact envelope seems perfect for my purposes! And I may use it at home as well – seeds are ripening in my garden. *Toenail clips are used for trace element studies. We are going to study nutritional status of teenaged Mozambican girls.